In the college town of Morganville, vampires and humans coexist in (relatively) bloodless harmony. Then along comes Bishop, the master vampire who threatens to abolish all order, revive the forces of the evil dead, and let chaos rule. But Bishop isn’t the only threat. Rereading this book made me wonder how the hell I didn’t continue with the series last time I read them. I think I maybe didn’t own the next books back then, but I’m so happy I do now so I can continue straight after that cliffhanger! Honestly, this book was the best so far for me. I’ve enjoyed them all so far, but the introduction of Bishop and a new threat was just great. And I love Myrnin. Having a villain that you as a reader never know when to trust works so well – I was so on edge with him. I also found this book more atmospheric and creepy. Not only is the town deserted and empty, but the addition of abandoned warehouses etc really put me on the edge of my seat. Reading this while I was alone overnight was kind of perfect for this type of book, and really added to the atmosphere. Lord of Misrule includes the most action I’ve seen in these books so far which made it (yet again) fly by, and my intrigue from that ending means I’m already 100 pages into the sixth book! Overall, this series is becoming self-absorbing, and I can’t believe I’m already six books in and not even thinking about other books. It’s guilty-pleasure with action and I love it. 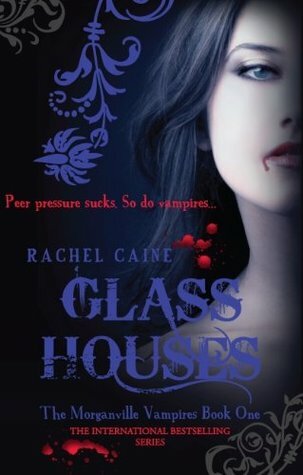 In the town of Morganville, vampires and humans live in relative peace. Clare Danvers has never been convinced, though – especially with the arrival of Mr. Bishop, an ancient, old-school vampire who cares nothing about harmony. What he wants from the town’s living and its dead is unthinkably sinister. Yes, we’re back! 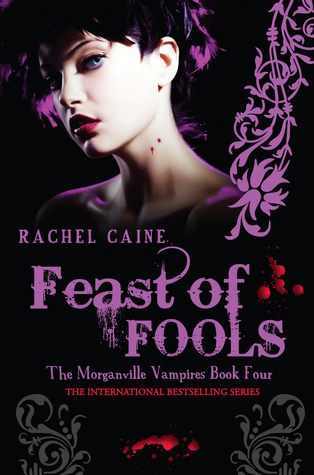 I can’t even describe how much better Feast of Fools was compared to Midnight Alley. Although the pacing can still be a bit off in places, I found the second half of the book especially fast and interesting. I’ve been flying through all of these books, but I definitely hit a lull at the end of 3 and start of 4. So glad it’s picked up again for me! ‘“I’m gonna kill him,” Eve said, or at least that was what it sounded like filtered through the pillow. I think a lot of this was due to the new characters. Having a new threat like Mr Bishop was so brilliantly written on Caine’s part. I feel like after having 3 books including only people from Morganville, we definitely needed a fresh insight on the vampire community. The introduction of a new, common enemy was just perfect. I also have to say the character growth was great. I really feel like I spent more time with the main characters in this one than any books previously. Some of my favourite scenes from Morganville are definitely just scenes between the friends, and they can be the funniest too! “When did you get home?” Claire demanded. 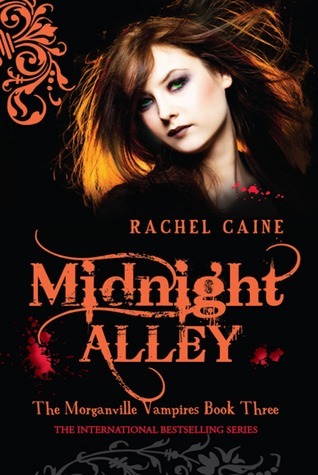 Overall, a really enjoyable read and perhaps my favourite Morganville book yet! 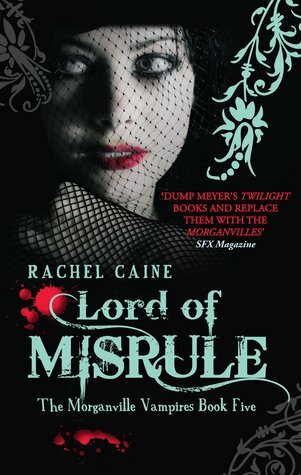 I’m excited for Lord of Misrule now. MORGANVILLE IS SUCH A NICE PLACE TO LIVE… AND DIE. IF YOU DON’T MIND THAT SORT OF THING. When Claire Danvers learnt that her college town was run by vampires, she did what any intelligent, self-preserving student would do: she applied for a transfer and stocked up on garlic. The transfer is no longer an option, but that garlic may come in handy. Now Claire has pledged herself to Amelie, the most powerful vampire in town. The protection her contract secures does little to reassure her friends. All of a sudden, people are turning up dead, a stalker resurfaces from Claire’s past, and an ancient bloodsucker extends a chilling invitation for private lessons in his secluded home. There’s no doubt I’m really enjoying this series. But unfortunately this one is far from my favourite, and I felt the same the first time round too! The pacing is just so off for me, and I remember most of the book being pretty slow. Due to not having internet for a few days, I did actually finish this earlier in the week. So everything is blending into one in my head! But if I look back at this book, it just doesn’t stick together that well. Like, everything seems random until this one event at the end. And due to this writing style, I didn’t have time to connect with the characters much which I didn’t enjoy! Talking of the characters, I really wasn’t a massive fan of a few of them. Shane is overdramatic, sulky and a bad friend/boyfriend. Claire makes some super bad decisions as usual but I can forgive her most of the time I guess. But of course I still enjoyed it and things aren’t all bad! This series never fails to entertain me, and the introduction of a new character in this book is needed so much. Myrnin offers a new dynamic and focus, and his scenes are always so tense and entertaining! So overall, a real mix but unfortunately not as enjoyable as the first two books. Although I still enjoyed reading this book, it’s just lacking in some ways. Claire has her share of challenges. Like being a genius in a school that favours beauty over brains; homicidal girls in her dorm, and finding out that her college town is overrun with the living dead. On the up side, she has a new boyfriend with a vampire-hunting dad. 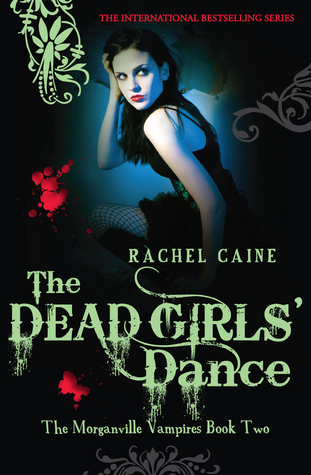 But when a local fraternity throws the Dead Girls’ Dance, hell is really going to break loose. I really enjoyed this book, and I flew through it. But unfortunately, I remember it in a fonder light. I remember my first read of this being gripping, on the edge of your seat and so emotional. I’m not going to lie, it was emotional, but I feel like Caine missed some opportunities for some really good scenes. It’s like instead of remembering what actually happened in this book, I was taking the best parts and remembering a different, better version. Maybe that’s a problem with re-reading books later in life when you have a lot more maturity and reading experience! That being said, I did still love reading this book. It’s still gripping (to a degree), and I was definitely kept entertained. I read this in less than 2 days once again and couldn’t put it down, the pages really fly by in this series. I also love the variety of scenes all over the town, with such a big cast of characters, that added so much to the atmospheric feel of this book/series. This book is definitely more of an introduction to Morganville. We’ve met the main characters, we know who we’re rooting for and who we’re against, and now it’s time to learn about this creepy town. The description of the town is definitely one of my favourite things about this series. Caine knows how to build up atmosphere. I still adore the characters, even Claire, although I understand why most readers seem to find her annoying. She does make some stupid decisions, but mostly she’s just a real, scared, courageous, 16 year old girl who is completely out of her depth. Her loyalty is outstanding, and I love her for it. There is still no doubt this series is pure entertainment. But I can’t help but love it anyway. College freshman Claire Danvers has had enough of her nightmarish dorm situation. When Claire heads off-campus, the imposing old house where she finds a room may not be much better. Her new roommates don’t show many signs of life, but they’ll have Claire’s back when the town’s deepest secrets come crawling out, hungry for fresh blood. Will she be able to face the town’s terror or will she drown like everyone else? I have owned most of these books for years, but unfortunately I stopped at book 5 on my first read of them because I didn’t have all of the books! It’s now almost 3 years later, and I’ve managed to collect the whole series pretty much secondhand. This might sound weird, as it’s a 16 book long series and a big commitment – but I finally picked it up again because I needed something easy. I needed comfort. Life is busy at the moment, and I knew picking up and re-reading the first 5 books before I carry on with the series is just what I wanted right now. I honestly wasn’t sure how I’d feel about these books. I was a lot younger – and hadn’t read quite as many books – when I read them 3 years ago. But I have to say I had a pleasant surprise, and I still really enjoyed this one. I mean, to a degree it just is what it is. It’s definitely more of a guilty pleasure read than anything else for me. It’s a little trashy, and the writing isn’t exactly going to blow your mind. But sometimes you just need a bit of trash. I have very vague, sporadic memories of the first 5 books of this series, but it didn’t take away from my enjoyment. I was drawn into Morganville from the first chapter, and I found it so fast paced that I didn’t stop reading. I got through this one in around a day, which is super quick for me! Although there are many plot holes in this series, I love it enough to ignore them. The characters are funny and real and love each other more than anything. They’re sometimes stupid, too, but it just makes me love them even more. I’m so glad I finally decided it was time to pick this back up! The bottom line is, these books aren’t going to blow your mind. But if you need some entertainment, and an easy-going read, they’re just the thing.